A conspiracy within the meaning of section 465 of the Criminal Code is an agreement with at least one other person to do a criminal act. It doesn’t matter whether the act agreed to is actually carried out or not as long as there was the intention to carry it out. In most conspiracy cases, there will have been wiretap authorizations and private communications will be relied upon to prove the existence of the conspiracy and your participation in it. The maximum penalties for Conspiracy to Traffic, Import or Export are the same as the offence that the individual is convicted of conspiring to commit. For Conspiracy to Traffic, see Drug Trafficking and Possession for the Purpose of Trafficking. For Conspiracy to Import or Export, see Importing and Exporting. In terms of the judge-made ranges of sentence, however, conspiracy charges are generally seen to be more serious than substantive trafficking, importing and exporting charges. That will most often be reflected in higher penalties. The Crown prosecutor must prove the conspiracy alleged. To illustrate, in a leading case, the Crown charged a conspiracy to import heroin. At the end of the case, they had only proved a conspiracy to import cocaine. As a result, the accused were acquitted. Even if the criminal conspiracy is proven to exist, the Crown prosecutor must prove your membership in it. There are some evidentiary rules that help the Crown do this allowing for the use of hearsay evidence in certain circumstances. Nonetheless, there must still be directly admissible evidence (as opposed to hearsay evidence) establishing that you were an actual co-conspirator. See Voice Identification below. Wiretap evidence is generally obtained pursuant to an Authorization to Intercept Private Communications issued by a judge. The police are obligated to make full, frank and fair disclosure of their grounds to believe that the conspiracy exists, why each target is likely a member of the conspiracy, that wiretap evidence will assist in the investigation, that the places they propose to intercept will be fruitful, that the impact on third parties’ privacy will be minimal and, importantly, that conventional methods of police investigation have not succeeded or are unlikely to succeed. The defence has access to the affidavit that a police officer will have sworn to obtain the authorization. Upon review, any fraudulent or misleading information will be excised from the affidavit. If, after that information has been excised, insufficient material remains to support the authorization or some part of the authorization (ie that there were grounds to believe that you were a target or that your communications were likely to be intercepted at a given location), all or part of an authorization may be set aside. At that point the court will enter into an inquiry to determine whether given that the interceptions were made without legal authority, whether they should be ruled to be inadmissible. 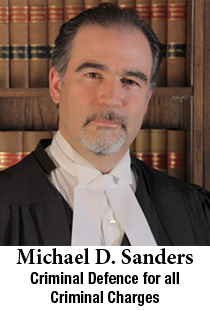 Even if the wiretap evidence is admissible, the Crown prosecutor still has to prove the identity of the speakers in all of the recorded conversations they propose to rely upon. Generally, this evidence is circumstantial, being based upon surveillance, connection to the telephone lines being intercepted and evidence of police officers who have spoken to the target directly, usually post-arrest, or have overheard a conversation and are in a position to compare the voices. The strength of this evidence will vary considerably from case to case and individual to individual. The statement above is not legal advice. It is simply intended to give a very general understanding of this offence and some of the possible issues and defences that might be considered in defending it. For legal advice on drug conspiracies, click here.